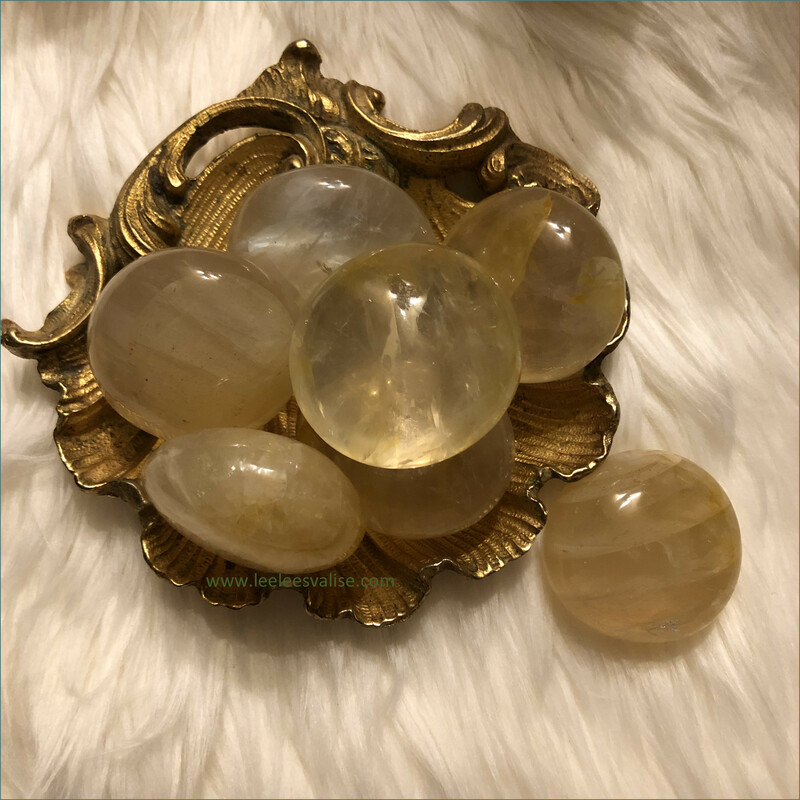 Golden Healer Palm Stone ★ Golden Healer Quartz will connect all your chakras and cleanse the whole chakra system. Talk about having the best of both worlds in one stone!! The High Vibrational Clear Quartz Crystal blending heavenly with the grounding of hematite. 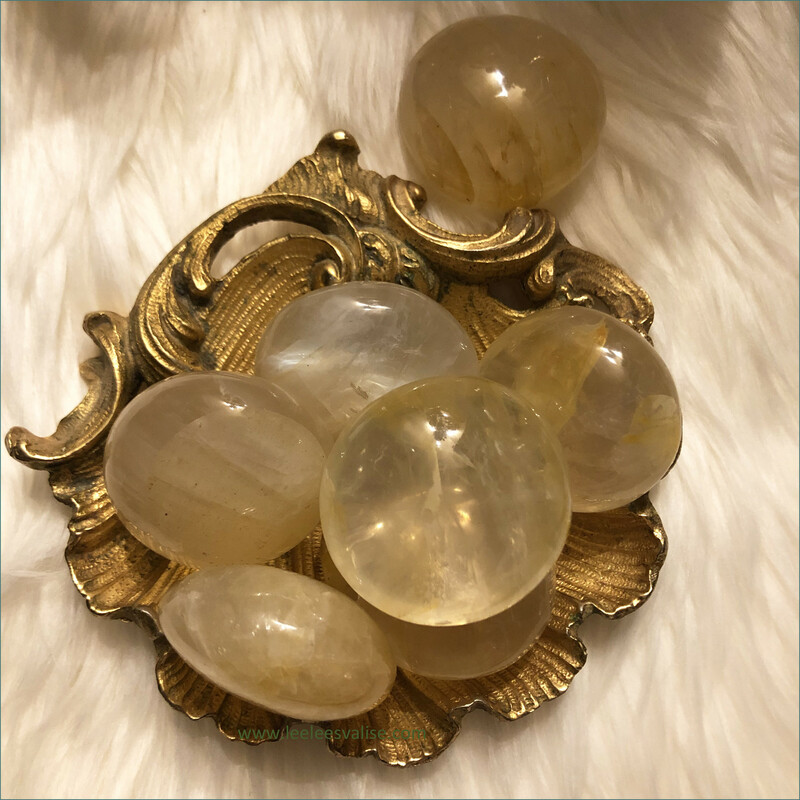 Clear Quartz is best for programming intentions, amplifying energies and releasing or clearing negativity while Hematite's ability to connect to the base chakra and stimulate power, strength and creativity! 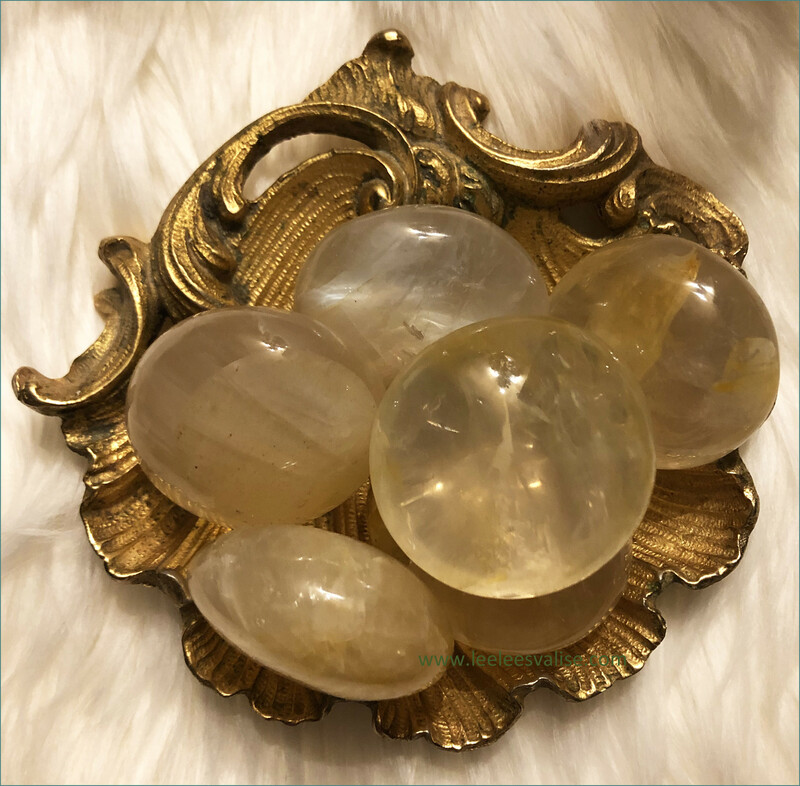 Add this Beautiful Golden Healer Polished Palm stone to your Mediation Altar and Crystal Grids, or anywhere in your space. I love having one near my bedside to grab first thing in the morning for a quick meditation! 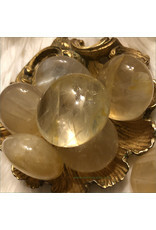 ​★ Metaphysical Properties: Golden Healer Quartz is a master healing crystal. 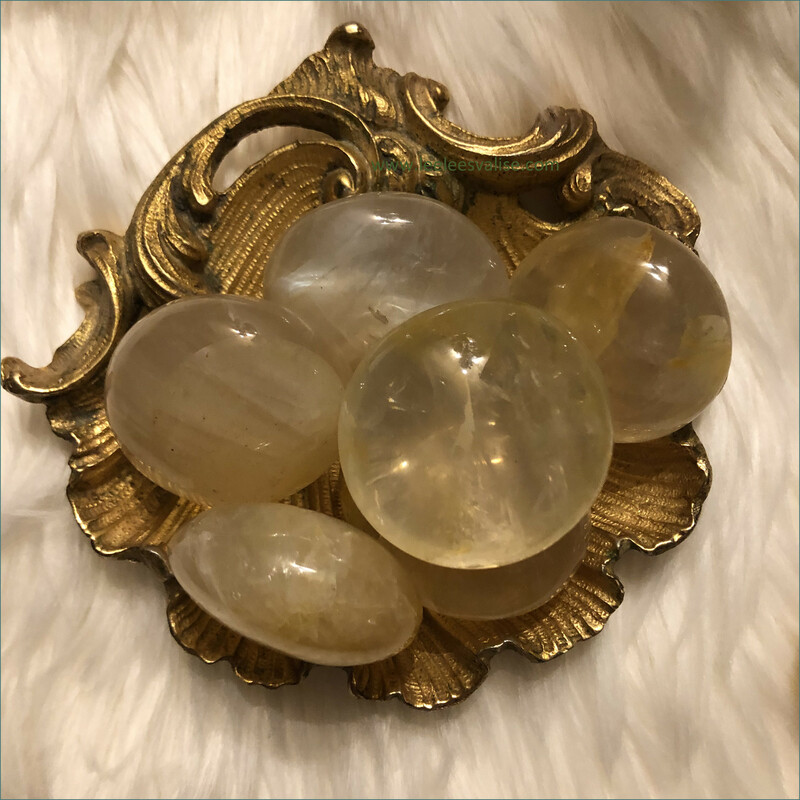 Golden Healer Quartz accesses the Golden Ray, the highest vibration of light raising vibrations, good intent, and dissolves and releases blockages. 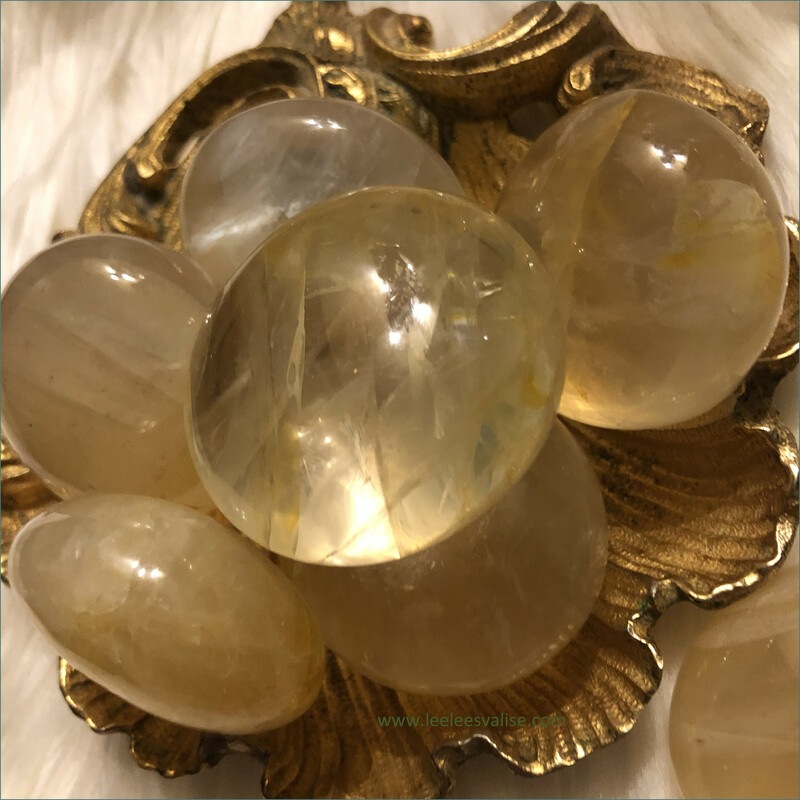 Golden Healers can be used to raise our energy vibration or frequency, which can facilitate spiritual communications over a long distance, including between worlds and dimensions. 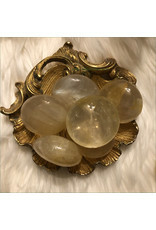 In this physical plane, Golden Healer Quartz may help to attract success, prosperity and abundance. 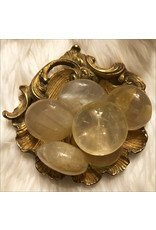 Golden Healer Quartz Crystal is a master healer for any condition. It may be helpful as a cellular memory healer, efficient receptor for programming, and beneficial for multi-dimensional healing. 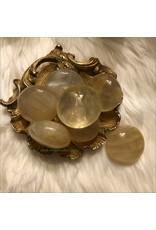 Golden Healer Quartz cleans and enhances the well-being of the organs, stimulates the immune system, brings the body back into balance, soothes burns, and may be used for energy enhancement. You will receive one (1) Palm stone: approx. 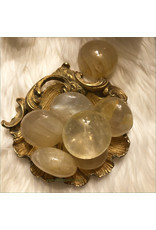 weight (3-4 ounces) Each one of these Golden Healer Quartz palm stones will vary in size, shape, color and pattern. All sales are final on these. Each palm stone will be hand picked "intuitively" for you!